Are you ready to get your band into Taco Bell's good graces? If you're a touring musician, how does $500 in free food sound? Calling all taco-loving music artists: Spring 2018 submissions are now open for the Feed The Beat program. Read more: Pizza better for breakfast than cereal? Bands know the struggle of eating on the road. 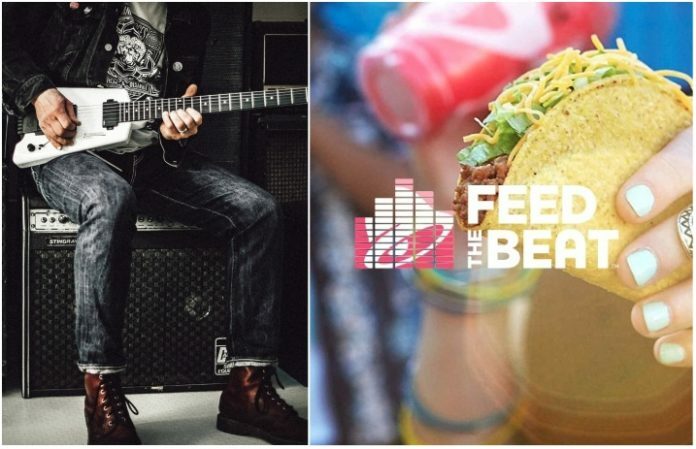 And while Taco Bell's been a staple of the traveling musician's lifestyle for (what feels like) forever, the restaurant started sponsoring bands over ten years ago with their Feed The Beat program. The band-and-taco alliance ain't no joke—groups such as Broadside, Citizen, Diet Cig, Fit For A King, Palisades, ROAM and Sundressed are all Feed The Beat alumni artists. Feed The Beat submissions are now open through March 22. See the official announcement tweet below, and head here to submit your band.